Jun 26, 2015 / Blogging U. Need help getting your blog off the ground or getting readers engaged? 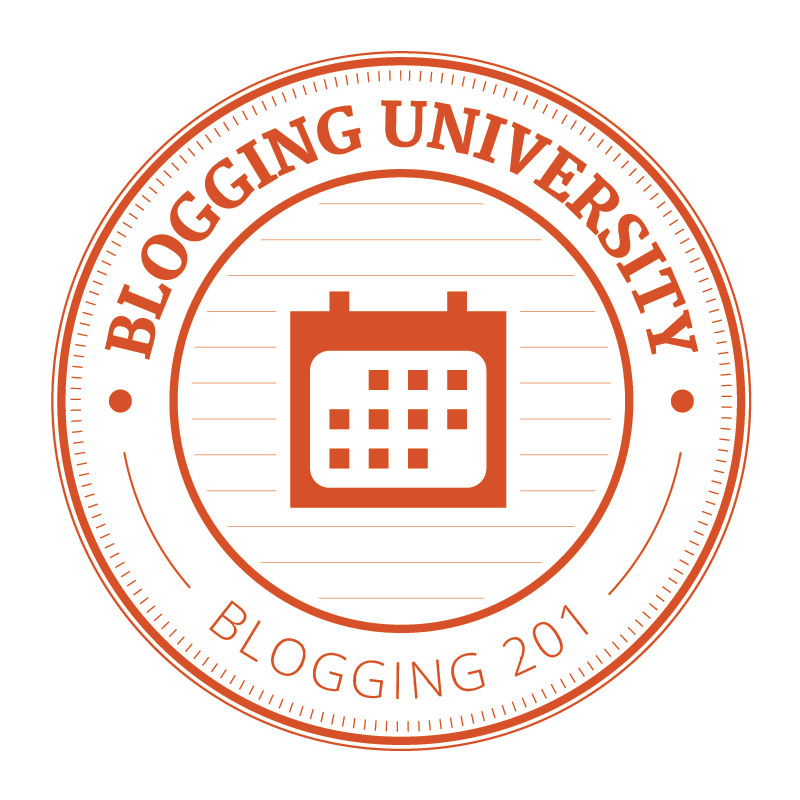 Note: Blogging 101 and Blogging 201 are the same courses previously offered by Blogging U. Feel free to take them again, but be aware that we will cover the same topics. New Blogging 201 courses focused on intermediate/advanced customization are coming later this year. Registration for Blogging 101 is not closed. For Blogging 201, just fill out this short form! There’s no automated confirmation; you’ll receive a welcome email just prior to the start of your course. If you’re on a mobile device or reading this via email and don’t see the form, you can register with this link. I love this idea to learn more of how to blog. Thanks. Yes Please on Blogging 101. How to I register? Just fill out the short form in the post (or click the link at the end – “click here to register”). Registered! Thanks for posting. 🙂 Look forward to learning a thing or two…. Definitely need this! Thank you! Yay! Blogging U Classes, can’t wait to take Blogging 201!! A refresher course is always good. 201, here I come! This could be very helpful. Thank you for posting this. I already registered and just waiting for it. This will help a lot of bloggers in the world. Tried Blogging 101 sometime back and utterly failed to stick with the assignments. I hope to be better this time round. Been around a while but need to get back into the swing of things. Thanks for offering these courses, I can’t wait to give Blogging 101 a try! Yes, everything in Blogging U. is free. Thanks! I signed up and can’t wait to learn about how to be a better blogger! Most likely signing up for Blog 101. When’s the next time blogging 101 will be offered? My July is crazy packed and I know I won’t be able to devote the time but I want to learn to blog! Probably August, but if not, definitely September. This sounds awesome. I am so new to this and I know I am making mistakes. See? My blog title is entirely too long! Look forward to talking to some of you about this later. To anyone considering — I just finished Blogging 101, and the course was amazingly helpful. I look forward to learning more in Blogging 201. I keep trying to sign up, but I can’t get to the poll. My computer says not available-timed out. Any suggestions? Thanks in advance. Can you give it one more try? If the same thing happens, let me know and I’ll add you to the sign-up list manually. Hi Michelle, I finally got to poll daddy and signed up. Thanks! I’m brand new to blogging….only been a newbie for a week. So excited to learn more about how to blog effectively. 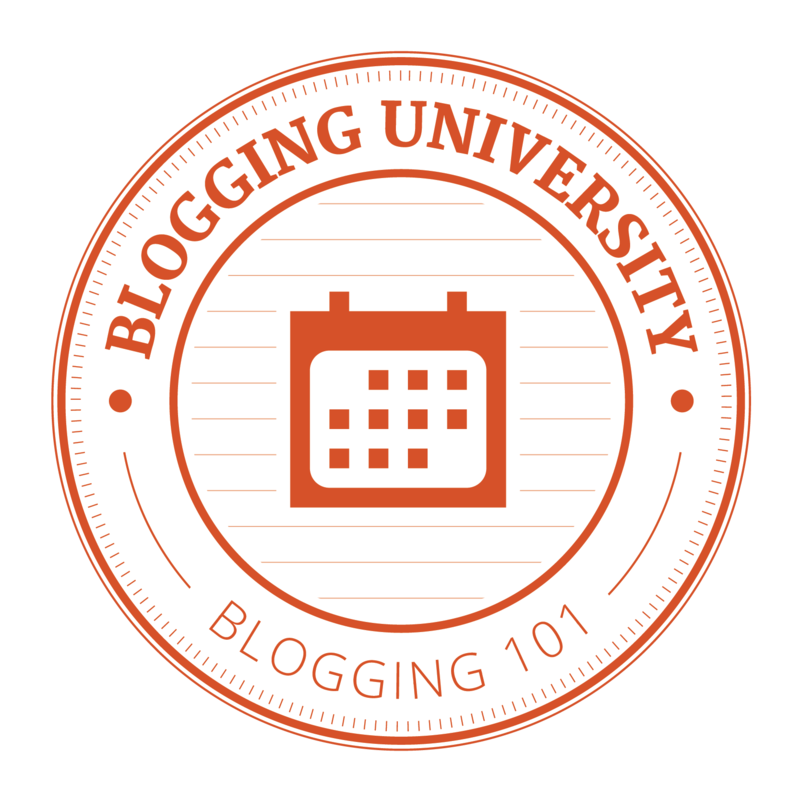 I’ve registered for the Blogging 101! Thanks for doing this! I was wondering when you were going to have a writing 101 course? I loved blogging 101 and would love to try writing 101. Juliette, if you EVER need any help writing/editing, I’m here and would love to pass along some expertise! Thank you for your offer! I’m a sponge right now and looking to learn/improve my writing :). Look for it in August or September! That’s so far away, but I will be watching vigilantly for it! Thank you :). Thank you so much; I’ll realty try to catch them! Finally it’s time for another lesson! I’ve attended the Blogging 101 in January, but I would like to take the lesson again and refresh because it’s been a long time since the last time I write. At the same time, I would like to join Blogging 201 too so I can brand and grow my current blog. Is it possible? Feel free to re-take 101. 201 will happen again throughout the year, so you’ll have more opportunities to try it.